Greenwood Village, CO – October 31, 2017 – Payroll Vault Franchising announces their newly awarded franchise location in Hartford, SD, part of the Sioux Falls area, as they enter into a successful sixth year of offering the concept. Payroll Vault has experienced tremendous growth in the past year and now is operating in 18 states with 37 locations – this is Payroll Vault’s first office in South Dakota state. 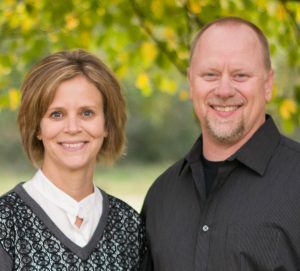 Payroll Vault Franchising welcomes owners Paula Johnson CPA, and husband Mark Johnson to the Payroll Vault family. Paula has a broad accounting and business background, which over the last decade has been concentrated in working with small businesses and assisting with their accounting and payroll needs. Recognizing a strong, stable demand in her community for payroll services, she is excited about launching her local Payroll Vault business. “I have always enjoyed working hands on with local businesses to streamline accounting systems and because of this I am very excited for the opportunity to offer the Payroll Vault system in our community. I look forward to working with local businesses to update and streamline the payroll side of their business with the use of the Payroll Vault system and workforce solutions,” states Paula. The payroll industry has an escalating demand for specialists. With a booming economy, new payrolls are increasing in the small business community at an unprecedented rate. Paula decided to pursue her dream of local business ownership in one of the nation’s fastest growing markets.